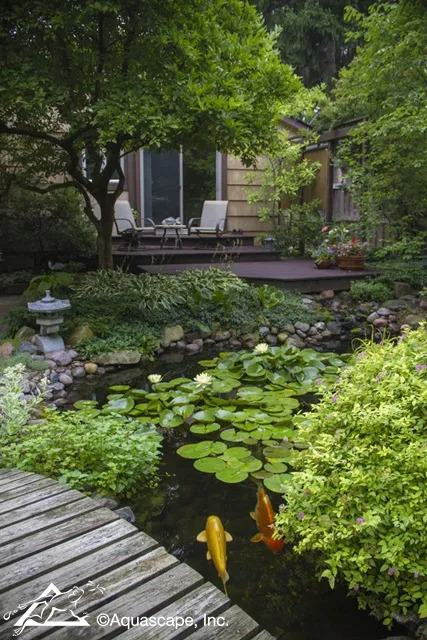 The Secret to Creating a Low Maintenance Pond - Aquascape, Inc.
Filtration: More often than not, when answering questions about pond water quality, we find that people don’t have proper filtration installed on their pond. If you had your pond built by a Certified Aquascape Contractor, you should have no worries. But for others, you want to make sure your pond has both a biological filter and a mechanical skimmer. 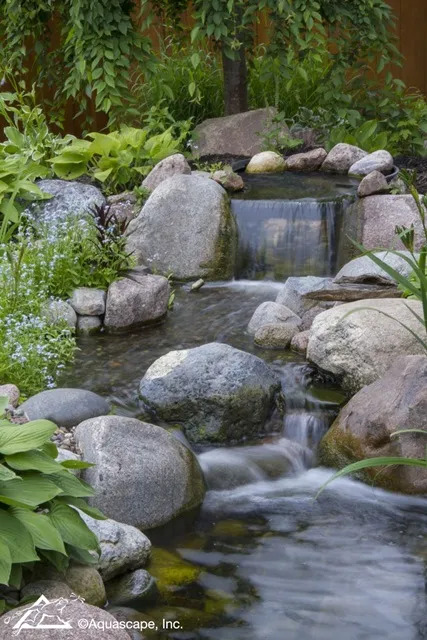 The biological filter is the start of your waterfall and adds beneficial bacteria to your pond. The mechanical skimmer is similar to a pool skimmer, removing surface debris such as leaves and sticks. Ideally, you want to position the biological filter and skimmer at opposite ends of the pond. This ensures movement throughout the entire pond so you don’t end up with stagnant areas.